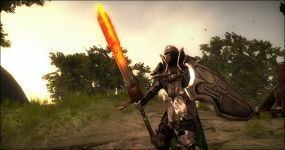 The first quarter of 2010 was quite busy for ModDB, we had our 2009 MOTY awards ending as well as our Divinity 2 concept art competition, traffic was high and the releases were quite varied and unique. January was riding off the excitement and buzz of the MOTY with a very large month of featured releases (twelve to be exact). With a slow decline of releases in February and March. The quality however never dwindled, with some huge releases coming out and amazing modding fans all over the globe. 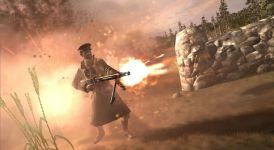 Company of Heroes: Eastern Front surprised everyone when they released in January 2010 with a brand new faction in Company of Heroes that has never been done before. A trail blazer if there was any! Human Error is a well polished well planned mod that follows the story of a handful of Combine Soldiers in the Half-Life universe. 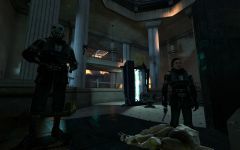 More then just a simple corridor shooter Half-Life mods have known to become. Kingdoms Collide a multiplayer third person melee experience that lays the fantasy on think giving players choice on how they wish to fight and the skills they want to develop. are you going to wait til the end of December to post quarter four? the MOTY really is the Q4 review. Only downfall to this is mods released after the top 100 is announced will have to wait until the 2011 MOTY to qualify for best "released mod". At least, it will not end in Febuary 2011, like the last years. Hmm, I like this mod, needs some nice updates though. The Great Class Dash... I had completely forgot about that. I have to replay that again sometime. Should put Galactopticon up, that's quality modding. Now this " quarterly review " news is handy as hell. Time passes so quickly and with so many projects to play and track combined with everyday life, I forget all too soon which ones I intended to play and shamefully lose track of them all together. This will serve nicely as my ModDB " post-it" note ! Where is nightmere house 2!!! Yeah this would be super cool.... If half these mods actually had people PLAYING THEM. (^_^) I clap for Platinum Arts Sandbox.